The England international star felt the pressure to come publicly to address the rumours about his sexuality. News 17 January, 2019 . Written by Guilherme Souza. 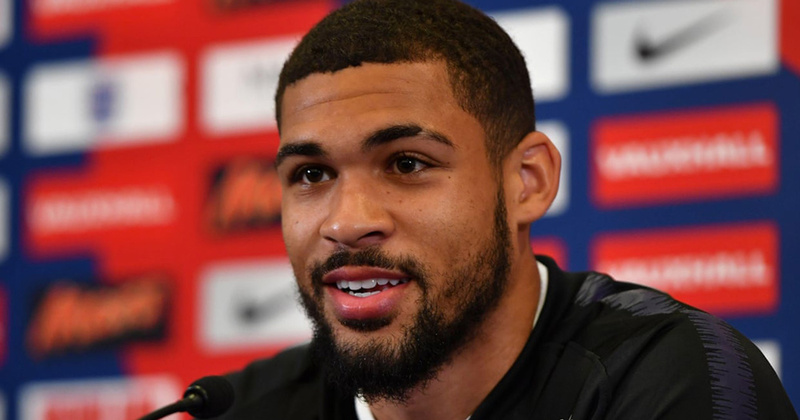 Chelsea midfielder Ruben Loftus-Cheek took to Twitter to explain the rumours that he is open to becoming the Premier League’s first openly gay player. The England international player felt pressured to come out publicly to address the speculation about his sexuality in a tweet posted last night. Loftus-Cheek, aged 22, said any fellow professional who came out as gay would have his full support but indicated that a rumour he was about to do so was wide of the mark. The question is, why all the rumoured gay players have to take to social media to explain their sexuality and come out as straight? The importance of the support by the players is fundamental to change the stereotype attached to toxic masculinity surrounding the sport. We all remember the campaign that was created by UK LGBT+ rights group Stonewall to kick homophobia out of the sport last year. With the aim to ‘make sports everyone’s game’, both athletes and fans were encouraged to do what they can to be ‘active allies’ for the LGBT+ community. To that end, clubs were provided with resources on how to avoid homophobic language, hate speech and how to report instances of homophobia, biphobia and transphobia. Another premier league star, and LGBT+ advocate, Olivier Giroud, opened up back in 2018 and said that it is “impossible” to be openly gay in the football world. “At Arsenal when they asked me to wear the ‘Rainbow Laces’ in support of the gay community, I did it” he concluded. The Chelsea footballer didn’t just wear the laces, he took part in a Stonewall advert which urged viewers to “kick homophobia out of football”. 17 January, 2019 . Written by Guilherme Souza.